What’s the difference about staying at Hideout when you’re on business? Well there’s cost, space, quality, privacy and flexibility for a start. When you combine this with all the things on your doorstep that the region has to offer, staying at Hideout when on business is a no-brainer. Need a space to conduct business? No problem. The C4DI (Centre for Digital Innovation) offers a world-class co-working space with amazing facilities. The main co-working space is a huge room facing The Deep, which has super-fast wi-fi and a free-to-use printer. There’s also a quiet area, a meeting room and a ‘theatre’ with state of the art AV and 40 seats. 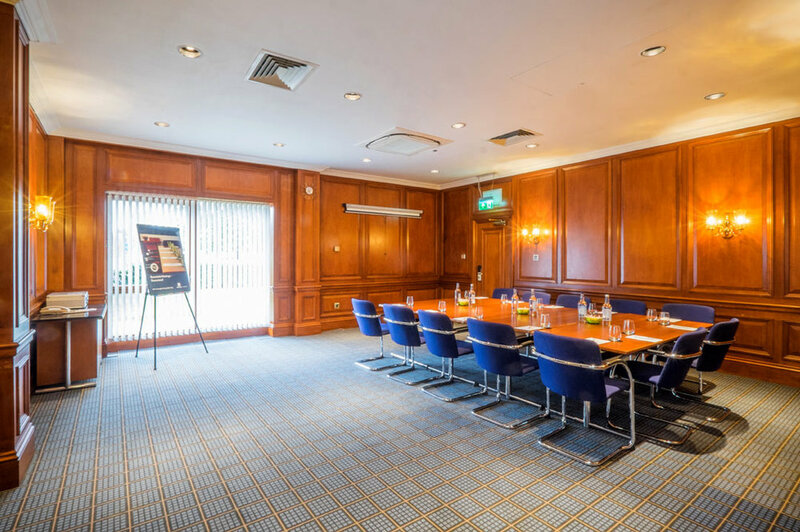 For a unique setting to hold meetings and conferences, The Deep Business Centre is ideal, and a range of versatile rooms can cater for numbers from 2 to 55. There’s also West One Business Village just a short walk away. If you need something photocopying or printing out, don’t panic - if we can't help you from our office, then Kall Kwik printers is just across Trinity Square on South Church side, so just give them a call or knock on their door. Hull Central Library also does printing and photocopying for a small fee, and Scribes Digital Print produce business cards, letterheads, leaflets etc. to suit a range of budgets. For pubs, bars and restaurants just ‘round the corner, you’re in luck - Hideout Hotel is in Trinity Square which is surrounded by tons of good places within walking distance. Paolo’s is a family-run Italian restaurant with a charming, authentic feel. Their King Prawn Thermodore is amazing and if steaks are your thing, it’s a place not to be missed! There’s also Leonardo’s Bistro bar that serves traditional, homecooked food and Garbo’s Bar & Grill which offers cocktail masterclasses if you’re feeling adventurous! One of the closest pubs is the Head of Steam; a fresh feeling pub with a great range of cask, craft, world beers and ciders along with a premium range of spirits. For a more traditional feeling pub, WM Hawkes on Scale Lane dates back to 1810 and was originally a gunmakers. There’s also Ye Olde White Harte built in 1550; a 2-floor pub which is home to the famous plotting room. It was here, in 1642, that the decision was taken to refuse King Charles I entry in Hull; supposedly triggering the English Civil War. The oak panelling and inglenook fireplaces bring a cosy, yet slightly macabre feel. If you want more information on anything in the blog (or on Hideout in general), feel free to drop me a line at tare@hideouthotel.co.uk or call 01482 212222.